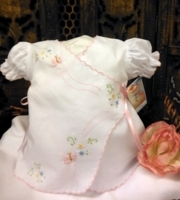 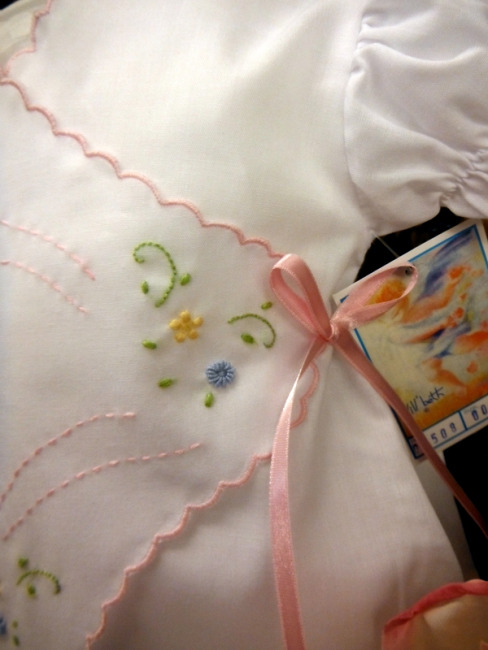 This darling little white batiste diaper set is made by Will'beth, a leading designer of beautifully detailed children's clothing for more than 30 years. It features a crossover front with side ties of pink satin ribbon. 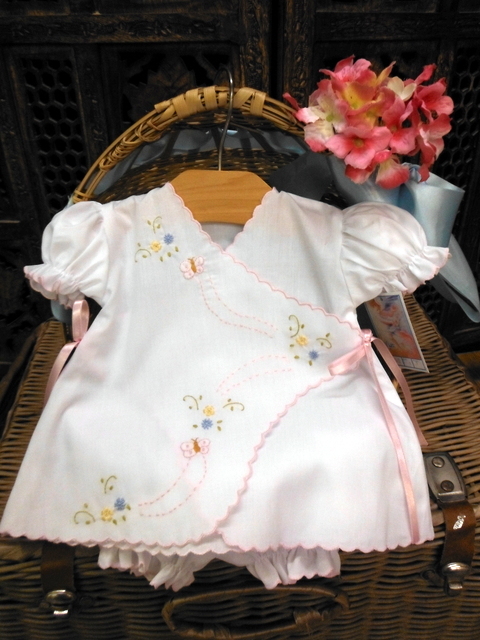 Delicate embroidered flowers and butterflies accent the front. The sleeves, neckline, pantaloon ruffles, and hem are edged with pink scalloped trim. What an adorable little diaper set for your baby girl!